October is almost over and HMD Global rushed to deliver the OTA updates for the Nokia 6.1 and 6.1 Plus and so kept its promise. Technically, both handsets got their deserved OTAs right before the month ended - yesterday it was the Nokia 6.1 and today it's Nokia 6.1 Plus' turn. 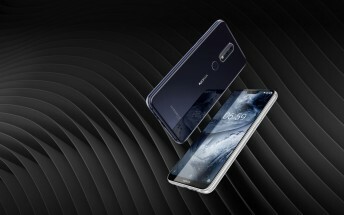 Juho Sarvikas, the CPO of HMD Global, took it to Twitter and announced that the Nokia 6.1 Plus is now receiving the 9.0 Pie upgrade. He even included a short clip that demonstrates some of the new features. These include Adaptive Battery Saving, integrated Google Lens into the default camera app and the new Pie navigation gestures. But we wonder if the notch toggle feature that got removed with the last update on the Nokia 6.1 Plus is now available. After all, Pie now has native notch support but we still need first-hand confirmation.